If you are talking about top advertisement networks then Infolinks is one of them which provides great CPM rate mine maximum CPM rate way $7 but I hear that many even getting $17 that's really cool, that's why I am writing this review that is about "Infolinks Review 2018". 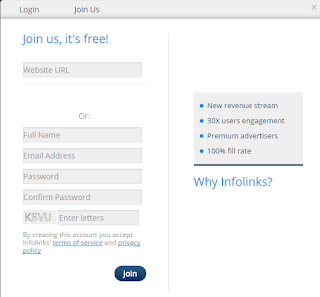 Infolinks is generally known for in text advertising network, when the advertising networking has launched, the advertising network has unique concept about showing advertisements on any blog or websites, but few months ago then have launched new way of advertising on blogs but in text is now also exist. 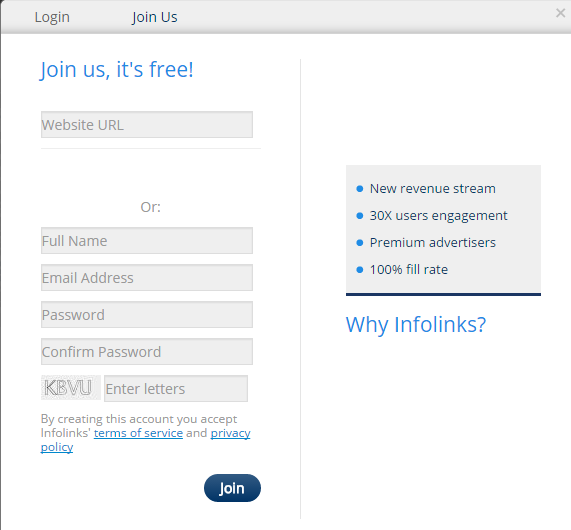 So, today I am going to share with you about Infolinks advertisement network, with some hidden facts, those points, I got after using this advertising network from last few months. Well let me first start with their main purpose of showing advertisement in the different way in the market, i.e. is hidden in their tag name. Yeah, I am an Indian blogger and its been long time I have been blogging and till now I have earned $1000 ad networks alone. IMPORTANT- This network is using new approach to help advertisers as well as publishers that's why it will work superb for you, if you are publishers or even advertisers its just amazing, for advertisers they have also launched a new program name as Adshop Self Advertising Platform its good. So, take your own chance to get into this program and see the benefits of it by yourself, yes don't forget to share your result with me. Here is the tag name- "Break from convention - advertise inside the lines"
Infolinks not a new ads network at all, another thing about Infolinks- it is one of the most promising alternatives to Google Adsense and of course sometimes it works better than Adsense, because I have seen bloggers earning more then $17 per thousand visitors from their blog. Here, I am going to help you to know in depth everything about Infonlinks, that's why you will be known everything about this ads network, from joining this ads networks to adding code to your blog, each and everything you are going to learn and do from this blog post. By looking at the screen shot above, you can understand now, how much powerful is it to make you more money from your blog. If you are having great content then, it is not tough to get around 10$ per 1000 visitors, but you need to improve your blog to make your visitors number to there. In tag advertising, the advertisement shows right after the blog post end, that means your readers will definitely want to take actions after reading the whole article, then that is the right place to show ads, which exactly Infolinks doing for you. One another unique feature about Infolinks, I would like to share with you, but at the end of the review, which is true but most important for non techie guys. Okay, come back to the main point. In tag advertising is really poweful to make you more money from your blog. One more thing about this product, I have not share with you, that is the tags will automatically adjust keywords according to your blog post content to increase your CTR, which means your earning will be more. In frame again an amazing product, because the ads will show there only, where your blog space is useless like on the side bars, but I know many bloggers do not left free space but most of the bloggers left free space to give better look to a blog, then Infolinks helping bloggers to monetize those, your blog both sides(right and left) free space to make money from advertisement networks. Now hopefully you are understanding about this product and how much this product is useful for your blog to make money from your blog. I think, this product can give you more CTR rate because the reason is simple, Infolinks shows ads related to blog post content. At the footer with automatic ads hiding and showing feature, more important, when needed to show ads, the ads will show, when do not need, then the ads will not show. 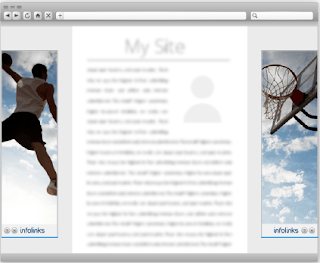 Hopefully, you got about insearch ads from Infolinks! First click here to land on official page. 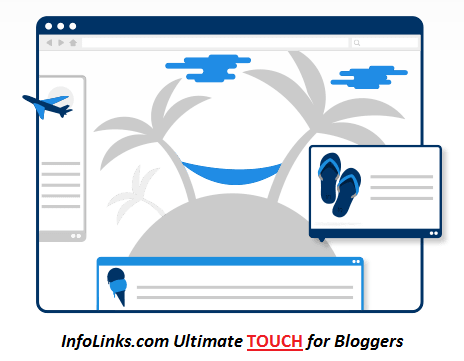 After filling the form, you need to wait to review your blog, after reviewing your blog you will get e-mail whether they approved your blog or not, that's why you will be so sure that you can use Infolinks for your blog, in the next step I am going to share with you, how you can add Infolinks code to your blogger. After copying the code, here is the step to copy the code easily, just make a click on the code then you will see it is select all codes available in the box, now you need to copy the code, just click on CTRL+ C, that's it, you have copied the code. Hope these steps is helpful for you, if you need any other help regarding Infolinks for your blog then don't forget to ask me, because I am here to help you through this blog. Because I have used this ads network and got paid couple of times, if you wanted to know more about this ads network then you must read the above linked blog post, because that is one of damn fine review about a ads network, it is having all information regarding the ads network. As I told you, I am going to tell you the most important fact for using Infolinks for non technical guys, because for these all formats ads you don't need to put ads codes to different places, just you need to add code to any place in your blog, your ads will be shown in your blog. Little setting you need to do in your Infolinks account, just go to customize sections on your Infolinks account to customize your ads and also how many ads products you want to use in your blog. You will automatically understand, what you need to do, because it's too simple to use, if not then ask me here, I will definitely write another blog post on this topic. 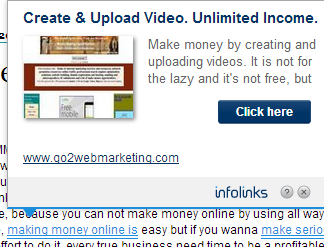 Now the best thing I am going to share with you, that is how much really you will earn from Infolinks alone and how much my highest earning from Infolinks. See, this part was missing and I found sharing important points about ads network always helpful for publishers as well as advertisers, well most of my blog readers are bloggers and most of them are newbies. Easy to integrate with Blogger and Wordpress platform. I used this network for my job blog. I know there are many those wanted to start as an advertiser with this ad network and why not this ad network having lot of premium publishers including me, even once up on a time one of the top bloggers he is John Chow also used this ad network on his blog to generate revenue. And there are many others the reason is simple this ad network take care of both sides, I mean for advertisers as well as publishers. Infolinks is world's third ad network and that's really cool. This is cool man, that is why you can target audience according to you. I hope you got good reasons right. I have only share with you reasons those are most important for you, but I want to tell you one more thing is important' that is collecting e-mail address of people, I mean does not matter what you are going to promote. Everybody is not going to buy right so, why not to collect their address and when you will get new offer then you will promote it to your all contacts and just sending an e-mail and you are going to get sells right without spending any money on advertising, so may be you are thinking, how to get started with it and how much you need to pay, you just need to get start FREE, just join now and get free account with one of the finest and marketers choice e-mail marketing company that is Get Reponse click here and join now. The BIG reason because I am using it to build my own list and there are other popular marketers also using it. Well my highest eCMP from Infolinks for my this blog is $7.29, but not all days, more interesting is I have seen many people even earning more than $17 per eCPM, I am just working hard to break this much limit even. What do you think about this ads network for bloggers? Hi and hello there every body,Jagdish jani here from Mumbai.i gone through your blog ,there is really very good and useful information one can find.But for me,you have to prepare step by step PDF format guide with screen shots for every action to prepare a blog like yours,i mean like SENOMIC.COM can you please send me guide?Because i don't know anything like how to fix every thing in place with all buttons like contact - products - make money - affiliate - tips etc etc.And even i can't change colour of my blog title and background,i hope you understand every thing,to teach me blogging is just like to teach walking to 10-12 months child. Don't worry I am working on this, that's why any body can start blogging. and finally make trust of other people and then make money, lots of money. which people even can not dream about! That is called power of blogging!! Right, thanks for your sharing your views here @Vinay, if you want any other information let me know? I have seen there are many BIG publishers using Infolinks with adsense but I will suggest you to start experimenting with colour combination to get best out of it. Is there any where I can help you in blogging. Its a common problem I will suggest you to use both for one week and find out which one is best for you. Thanks for sharing your views, but if you will set proper settings then you can even earn good money and users also be happy.